Mobile marketing is marketing that occurs over a mobile device, targeted at mobile users. It leverages mobile devices to communicate and engage with consumers at any point in the customer lifecycle, to drive brand value and demand for your products or services. Mobile is an essential component in Digital today. With every user having a smartphone, websites and businesses can directly reach to individual customers wherever they are, and whenever they can. 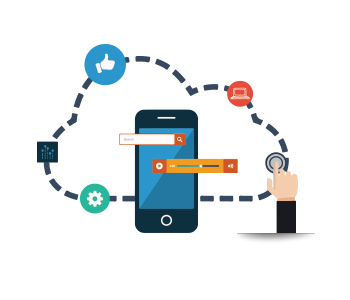 There are various ways and methods of reaching out to your end users via mobile marketing, such as mobile-formatted internet advertisements, text messages, push notifications, mobile responsive websites, chat applications and messaging services, and many others. Mobile also works as a supplement to other forms of traditional marketing where notifications and text messages play an active role.